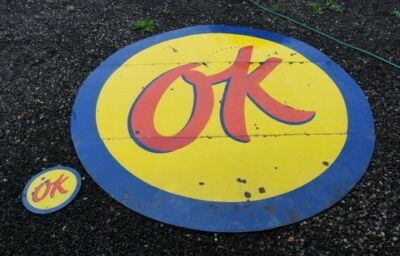 This oversized OK Chevrolet Large Round sign is a rather simple design. The colors are blue, yellow, and red. In the center of the sign is text that says “OK,” and that is highlighted by a blue drop shadow on the yellow background.